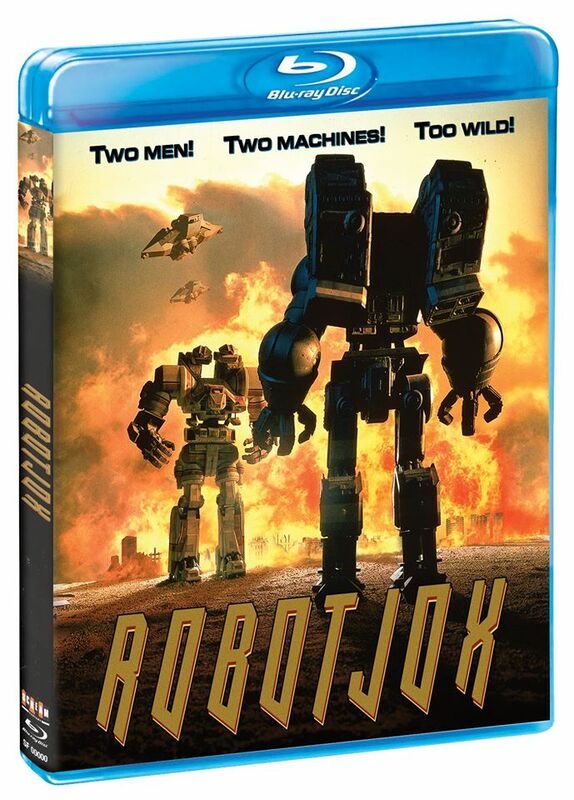 Schlock-Wire: Full Specs For Scream Factory’s ROBOT JOX Blu-Ray Special Edition – Schlockmania! Pre-order This Must-Have Blu-ray™ Today! Shout! Factory will continue to present the on-going SCREAM FACTORY™ home entertainment series in 2015 with specific release dates, extras and key art. Meanwhile, fans are encouraged to visit the Scream Factory main website (www.screamfactorydvd.com), follow them on Facebook (www.facebook.com/ScreamFactoryDVD) and Twitter (www.Twitter.com/@Scream_Factory) or to view exclusive video content on YouTube (http://www.youtube.com/user/ScreamFactoryTV/Home).